Clifton Polk crafted this 2x blade Slip Joint. 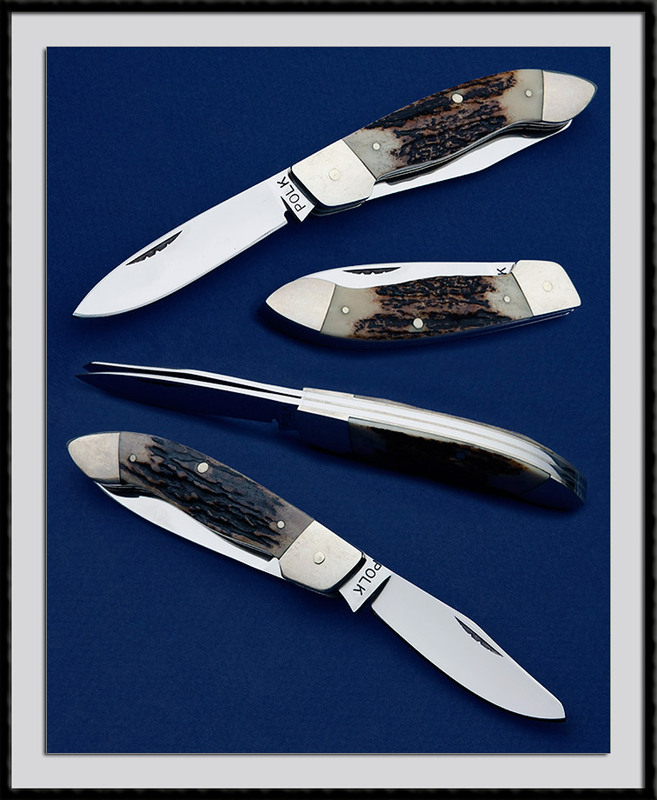 ATS-34 Blade steel, BL = 2 5/8”, OAL is 6", SS frame, Nickel Silver Bolsters and Stag scales. Condition is Mint.